06 Feb 2012 in book reviews science fiction young adult fiction ~ read. In tribute to science fiction writer John Christopher, who just passed away, I’m reposting my review of The White Mountains, the first book in his Tripods series. Will Parker is 13 years old, and in another year he will undergo the capping ceremony, which marks the passage to adulthood. During the capping ceremony, the Tripods, giant metal beings with three legs, permanently fuse a metal cap to the person’s skull. Will accepts the capping as a normal part of life, as everyone else does, until Jack, his best friend and cousin is capped. Seeing the changes in Jack makes Will nervous about what lies in store. Soon afterwards, he meets a vagrant who tells him that the Tripods are beings who have taken over the Earth and that the caps are the means they use to keep humans under control. He tells will about a colony of free humans living in the White Mountains, far to the south, and gives Will directions for how to get there. Accompanied by first one, and then another boy, Will sets off on a journey to find the free men in the White Mountains. The journey is fraught with peril and filled with adventures. One important note: John Christopher later wrote a prequel to the series called When the Tripods Came. The prequel is now marketed as book 1, and The White Mountains has been shifted to book 2. But do not read When the Tripods Came first! The White Mountains was originally intended to be the first book, and if you read the prequel first, it will diminish your enjoyment of The White Mountains, because part of the fun of the book is the mystery of the Tripods. 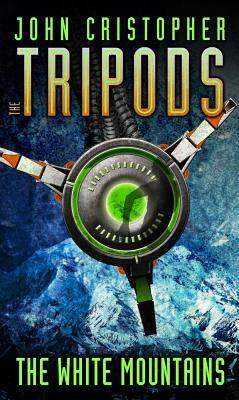 If you read When the Tripods Came first, then you will know too much about the Tripods to enjoy The White Mountains the way it was originally intended to be read.